Dateline - The Barber Shop, 2 September 2013. 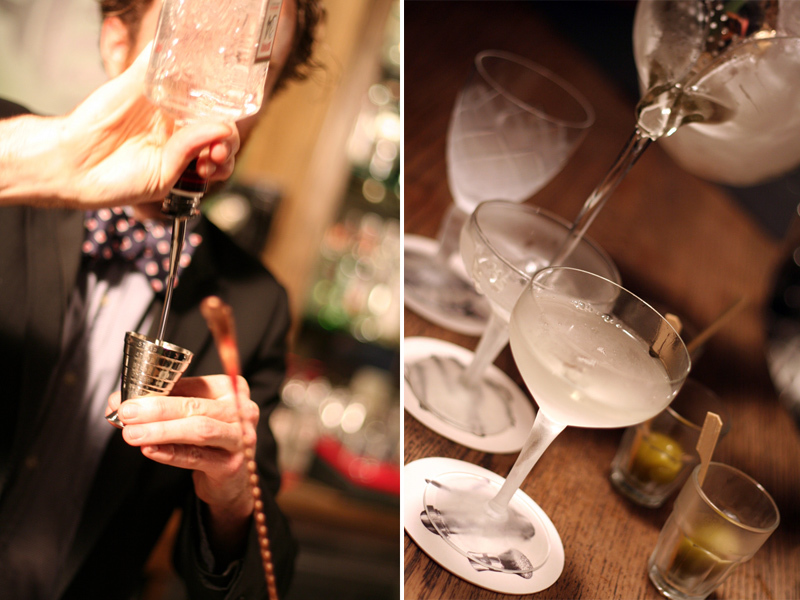 It’s the Australian finals of the Global Bartender Competition, organised by Beefeater 24, hosted at The Barber Shop. I watch the action nursing a G&T (Gin & Tonic), while eating finely sliced prosciutto. Each competitor mixes up two sets of cocktails as the MC croons soft commentary into a hand-held mike. The MC sprouts the obligatory beard that all cocktail-loving hipsters are required to wear. A competitor holds up a bottle of Aperol. He elbow flips its contents into a jug. “Campari’s baby brother,” croons the MC. But we aren’t here to taste Aperol. Or Campari. We are here to try Beefeater 24. 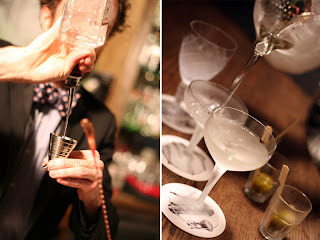 So while each competitor mixes up cocktails that hide, jostle with, transform or irradiate the taste of the gin, we guests are strictly served drinks that show case the taste of Beefeater 24. A young waitress walks about dispensing G&Ts. The G&Ts are expertly mixed. The tonic water they’ve opted for is Capi tonic water, which is a personal favourite of mine: there's none of that sickly sweet aftertaste that your typical tonic water manufacturer seems incapable of eradicating (I am talking about you Mr Schweppes). There’s s good hit of bitterness, not overly bitter, no hint of sweetness and a perfect balance that persists in the mouth. The Beefeater 24 turns out to be a great gin. I was expecting something cheap, nasty and shocking. The Beefeater name conjures up, for me, images of that famous 18th century English print – Beer Street and Gin Lane – of a London falling apart with inebriates everywhere and a baby toppling out of a drunk mother’s arms. But Beefeater 24 is in a class of its own. Its botanicals include grapefruit peel and green tea. It has none of that overly flowery and sweet hit that you get from Bombay Safire, none of that smack-in-the-face bitterness that you get from cheaper gins, just a good robust taste. I was reminded of Hendricks gin, minus the cucumber and with a grassy-fresh citrus hit. Each G&T had a wedge of ruby grapefruit tucked into the side. These were perfect G&Ts, but I wanted to see what else Beefeater 24 could do. I leaned over the bar and whispered to the bar keep in a conspiratorial tone. “Can you rustle me up some martinis?" "Sure," the bar keep said. He filled a jug with ice. Poured in the Beefeater 24, followed by a generous serve of Lillet, and lastly a few dashes of yellow-coloured bitters from a vile. He stirred gently and poured into 3 cocktail glasses. Not one of them was a martini glass: Two were Marie Antoinette champagne glasses, one was a cut crystal glass that looked like it was designed to take fortified wine. The olive was kept in a shot glass on the side. The taste was perfect. As with the G&Ts, no hint of sweetness, just an incredible balance. 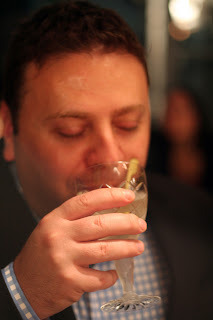 The hit of gin was robust, yet there was a mellowness at the same time. The Lillet took the edge off the gin, but without taking over in the way that vermouth often does. This martini had a good strong hit of flavour, citrusy, grassy and fresh. 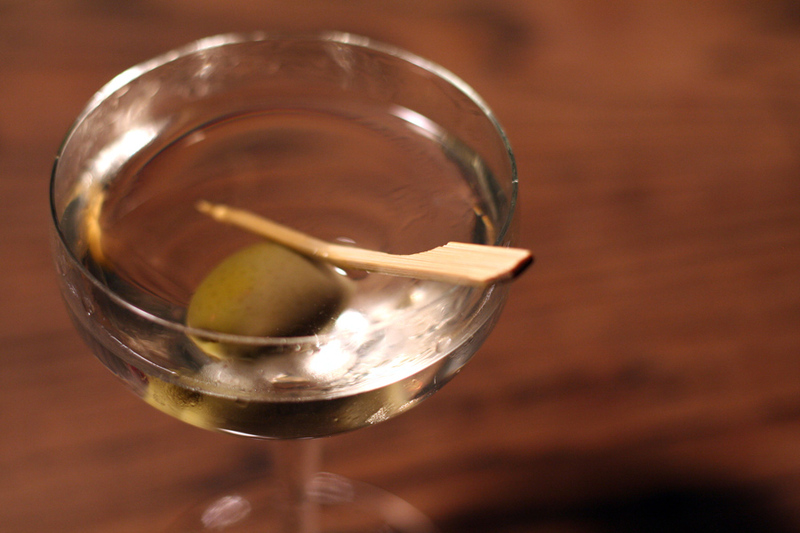 And yes, this was the best martini yet.